krow has launched a new ad for the UK’s biggest sofa manufacturer, DFS, which takes us in-store to explore the choice of colours available across their range of styles. 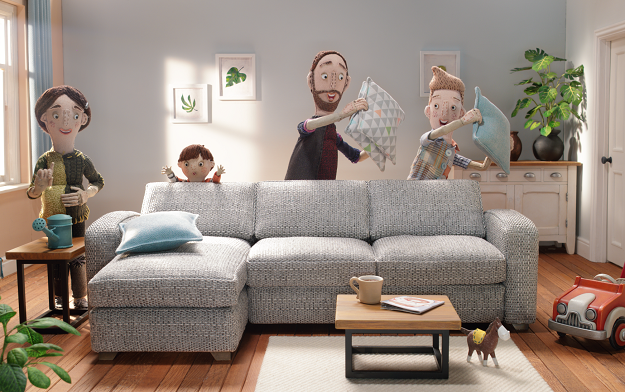 The campaign is the eighth for DFS featuring Aardman designed characters, which are based on real employees of the sofa company. The work centres on Samuel, a Sales Advisor from the DFS Sidcup store, showing a customer through a range of colour option, across a range of sofa styles, helping her successfully find her ‘happy colour’. 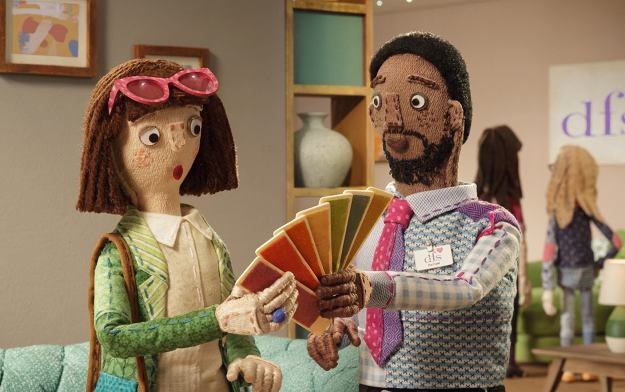 “We are proud of the breadth and depth of our range at DFS, and wanted to use the skills and charm of our Aardman characters to shine a light on this - specifically the colour choices we offer. The result is a fun, energetic and bright ad - perfect for the spring time!”.